In honor of the modern nation of Israel’s 70th birthday, this series tells the story of the Bible from Genesis to Revelation. The Lord bridged the relationship gap (caused by mankind’s sin in the Garden of Eden) by creating a special relationship with a people and a land that eventually led to the Messiah. David and Kirsten Hart present this series featuring teaching and analysis from Dr. Jeffrey Seif, interviews from experts, insights from Sarah Liberman, and music written by Zola Levitt. The sin of Adam and Eve led not only to their expulsion from the Garden of Eden, but, more importantly, to the loss of personal fellowship with the Lord. To bridge this gap, God instituted the sacrificial system. The journey to restoring a relationship with God has no shortcuts. Abram was tested as he traveled over harsh territory to the Promised Land. Later, the Tabernacle provided the setting for sacrifice necessary to access God. 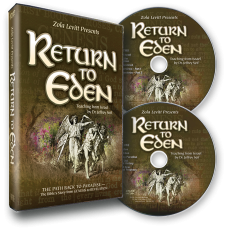 For 369 years, at the Tabernacle in Shiloh, the winged creatures that had blocked the entrance to Eden invited people to enter the Tabernacle. The Menorah symbolizes not only the Jewish people but also the Tree of Life. The Lord wants to return to fellowship with His creation. Even though He allows for times of correction, He is in the process of rebuilding us and making us a testimony to His faithfulness. Solomon’s Temple was a reconstitution of the Garden of Eden. Today the Lord is bringing the Jewish people back to their ancestral homeland. He promises to dwell among men in the future, when there will be no more tears. Adam and Eve started in the paradise of the Garden of Eden. 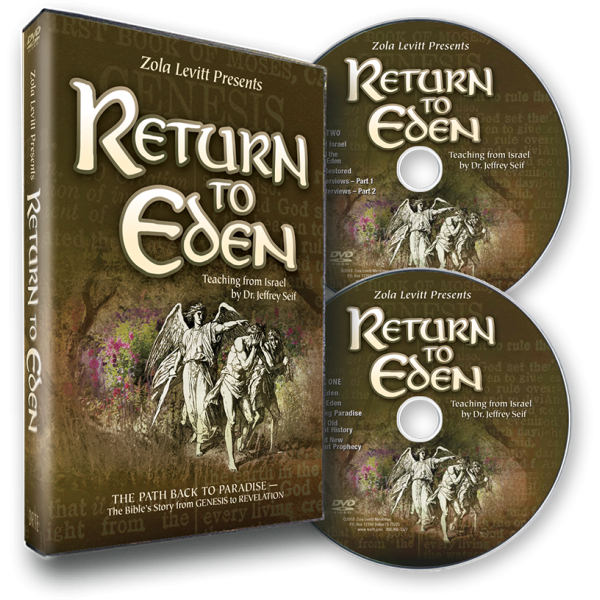 Believers will spend eternity in an Eden-like paradise where the Divine presence is restored and Satan crushed. People’s choices now dictate where they will spend eternity. Extended interviews with individuals appearing in this series: Doron Keidar from Cry for Zion, Dr. Seth Postell the Academic Dean of Israel College of the Bible in Netanya, and Guy Erlich the owner/director of Balm of Gilead farm. Extended interviews with individuals appearing in this series: David Parsons the Vice President of the International Christian Embassy Jerusalem, Singer Pat Boone, and Yehuda Glick a member of the Israeli Knesset.